The BBC have released the official synopsis for Doctor Who Series 9, Episode 10, Face The Raven – check it out below. 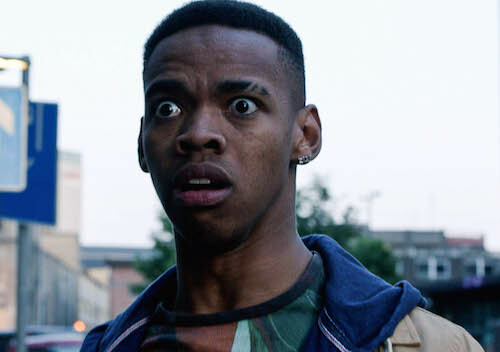 The story, from new writer Sarah Dollard, features the return of Joivan Wade as Rigsy, last seen in the 2014 episode, Flatline, and Maisie Williams as Ashildr (The Girl Who Died/The Woman Who Lived). Face The Raven airs 8.10pm, Nov 21 on BBC One. The guest cast also includes: Naomi Ackie, Simon Manyonda (Whitechapel), Simon Paisley Day (The End of the World), Letitia Wright (Cucumber/Banana), Robin Soans (The Keeper of Traken), Angela Clerkin (The Office), Caroline Boulton (The Last Kingdom) and Jenny Lee (Monarch of the Glen).